Your first question is most probably what is “Tadelakt”? 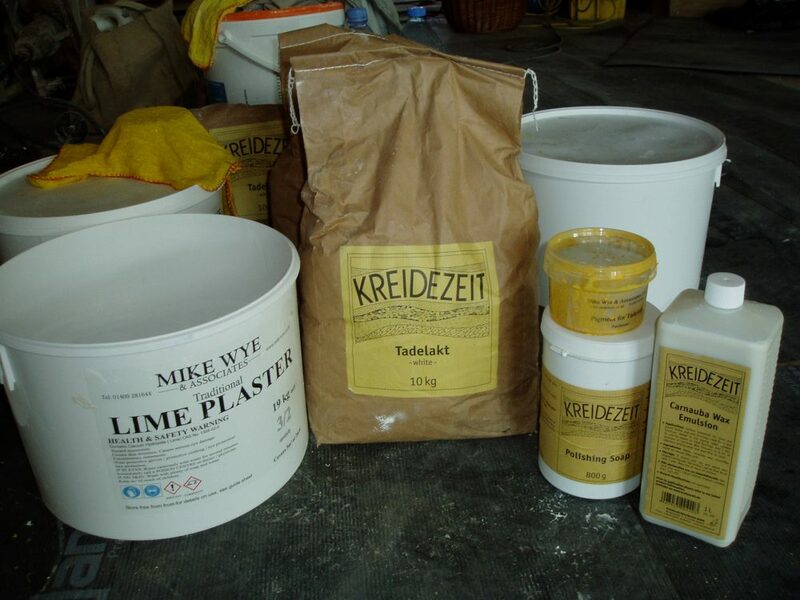 Tadelakt is a polished plaster based on the original Moroccan plaster meaning ‘to rub’ or ‘knead’ in Arabic and we are using it to give a waterproof finish to our shower room.The main ingredients are natural hydraulic lime, selected sands and marble powder with a pigment to give it some colour. 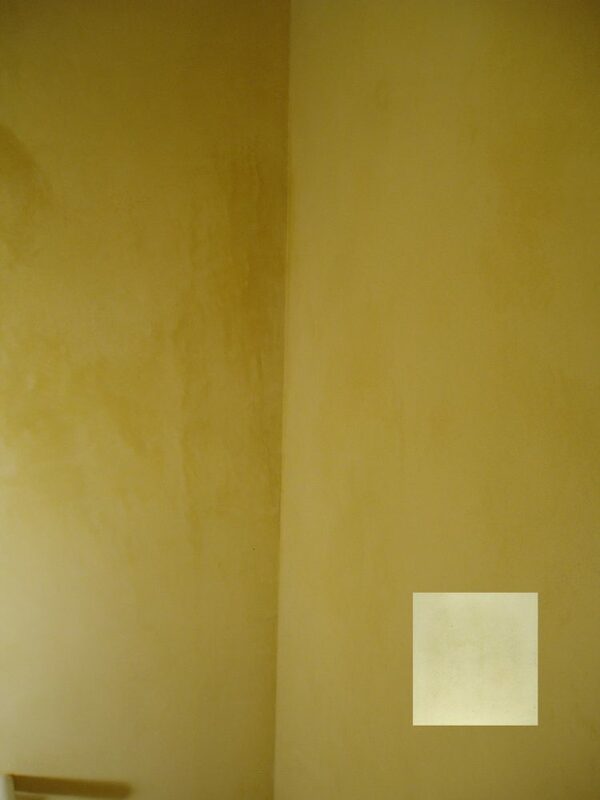 Once the coat of plaster has been applied it is sprayed with an olive oil soap and is polished with a stone. The olive oil soap chemically reacts with the lime to form calcium stearate, which results in a surface that is both water resistant as well as hard and durable. We have chosen the parchment colour, which starts of as the bright yellow pigment in the previous photo. The inset photo below is nearer to the colour it will dry to. What the photo can not show is the beautiful smooth texture of the finish. Nor does it show the final subtle colours that come with the final polish.